We like to think we know a bit about salt. Dri-Pak Ltd was founded in 1962 to pack it and we've been doing so ever since from our packing facility in Ilkeston, Derbyshire. With our own logistics fleet we are delivering salt every day of the working week to retailers, wholesalers, cash & carry and food service companies around the UK. Plastic bags - 1.5, 3 or 12.5 kg. 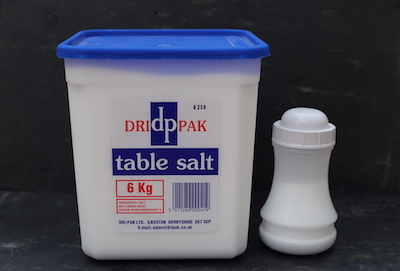 We offer the Dri-Pak 'dp' brand salt, as well as own label for customers that meet the minimum order quantity. We can work with your own designers to produce the labels, films or drums. For plastic salt drums and catering tubs, we even produce the bottles and tubs ourselves, which only goes to secure the continuity of supply. 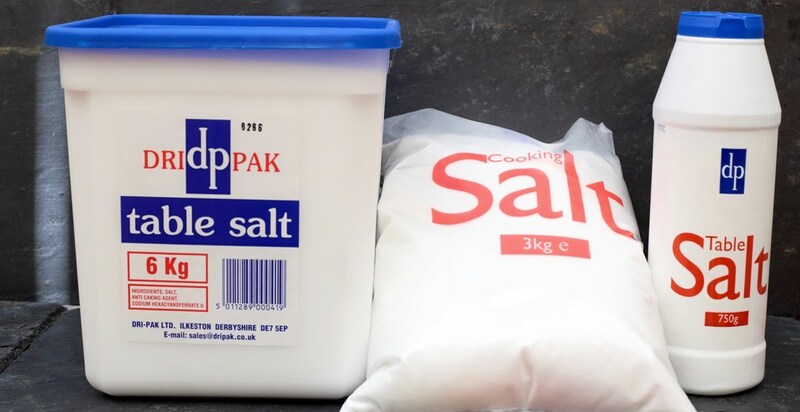 Discover how we work and contact us if you'd like to place an order or enquire about contract packing of your own label salt.